SECRET – Password of the identity/username. 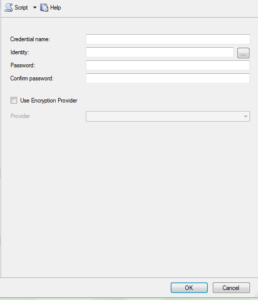 CRYPTOGRAPHIC PROVIDER – Name of Enterprise Key Management Provider. SECRET and cryptographic_provider_name are optional in the above syntax. 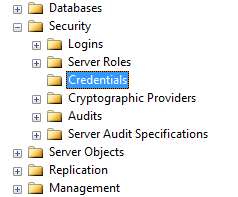 CRYPTOGRAPHIC PROVIDER can be created and used with credentials. The dll provided above should implement SQL Server Extensible Key Management interface. 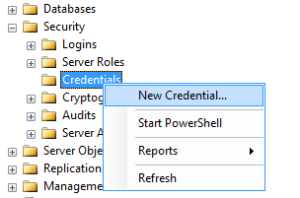 Now Enter values for Credential Name, Identity, Password.